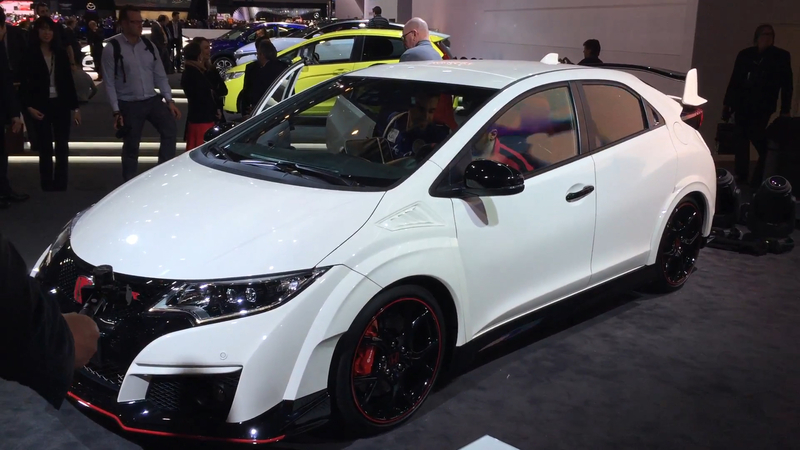 If there's a car that proves Honda cares about performance it's not the NSX; it's the Civic Type R. And with the next-generation Type R coming stateside, Honda is officially back in the hot hatch game in the United States. These latest spy photos give us a solid look at the four-door hatchback before we see the official photos. With the current European version Type breaking lap records all around the continent, we expect similar bonkers performance when the update model debuts as either a 2017 or 2018 model. Some rumors have claimed the turbochaged 2.0-liter will hit as much as 340 horsepower. In the photos above it's easy to see the current US-market style headlights and front styling on this update Civic Type R. And the big opening in the lower bumper on the driver's side suggests some kind of secondary cooling system, perhaps an oil cooler (we assume the turbo intercooler is mounted front and center). The Civic Type R is expected to go on sale sometime in 2017, and we could see the production sheetmetal before the end of the year.